The seeds for the formation of Natal Canoe Club and the Dusi Canoe Marathon were borne during World War II when Ian Player, then in the mountains in Italy, dreamt of paddling from Pietermaritzburg to Durban by canoe. At that time the Valley of a Thousand Hills, through which the Umsindusi and Umgeni Rivers flowed, was little developed and little was known about it, but Player, a nature-lover, who would later become a world-renowned conservationist credited with saving the white rhino from extinction, wanted to experience the natural beauty of the area. On 11 December 1951, the Natal Canoe Club was formed in Pietermaritzburg when Player, Ernie Pearce, Fred Schmidt, Denis Vorster, Basil Halford, Jack Shepherd Smith and Derek Kain met to create the club. At the same meeting, discussions were held about a canoe race between Pietermaritzburg and Durban. A copy of the rules was sent to the Mayor of Pietermaritzburg, who was asked to be the patron of the event. On 22 December, the Dusi Canoe Marathon, which was set to become an iconic South African sporting event and one of the world’s largest canoe marathons, was held for the first time. It was a non-stop event and passed through valleys where no roads existed. More than a race, it was an adventure and for many participants today, that perception of the event remains. 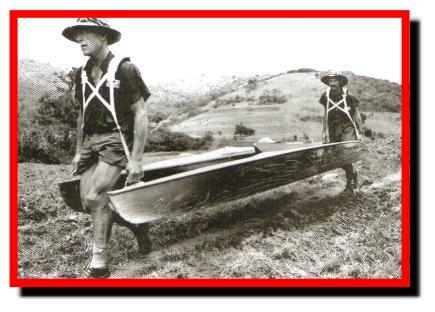 Just eight men entered the first Dusi and the rules stated that they had to participate in pairs. Player teamed up with Miles Brokensha, who, Player admitted, he shared a few arguments with, because Brokensha was not training. When it came to the race, Player lost Brokensha to injuries to an eye and feet swollen to twice their normal size. Nonetheless, he pushed on. Along the way, he suffered a snakebite from a night adder, but he continued on to Durban, which he reached in six days, and was the only finisher of the inaugural Dusi Canoe Marathon. The club has since introduced a number of South Africa’s most important races, including the Non-Stop Dusi in 1997, Ozzie Gladwin in 1999, and the Umpetha Challenge in 2012. The Non-Stop is the toughest of all canoeing races. Simply put, it is doing the Dusi, already a massive physical and mental challenge, in a single day. Coming as it does, only a matter of weeks after the Dusi, the questions asked of one’s body are amplified. Only the bravest and best paddlers dare take it on. 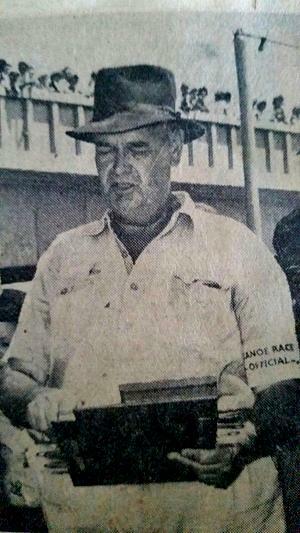 The Ozzie Gladwin was named after the man who in the early days of the Dusi followed the race in his Willys Jeep and then relayed the race results and updates by ham radio to other ham operators in Durban. They, in turn, passed on the news to the waiting media. He was also a senior administrator in the provincial union and head timekeeper. It is now one of the largest one-day races in the country, having twice surpassed the 1 000 entries mark, and has been named the Best One-Day Race on a number of occasions at the annual KwaZulu-Natal Canoe Union Awards. It has also provided a popular first step for young paddlers into competitive canoeing through the hosting of a Guppies’ Race on the Albert Falls Dam prior to the main race. The Umpetha Challenge (formally known as the NCC Development Race) was introduced in 2012 and it immediately made a significant impact on a number of levels. It became a Dusi qualifier, but, more importantly, it was run by, and continues to be run by, the NCC Development Team, which thanks to the wholehearted support of the KwaZulu-Natal Department of Sport and Recreation, has grown in leaps and bounds. In 2013, in only its second year of existence, it received the KNCU One-Day Race of the Year Award. The NCC Development Programme, which began in 2008, has helped introduce the sport to thousands of previously disadvantaged youngsters and has unearthed some talented paddlers too, with the standards continuing to grow year by year. As part of the Programme, life skills are taught to the participants, which has made a big difference in the lives of many. The High Performance Programme, which began in 2014, has lifted the excellence of NCC’s top paddlers to a previously unreached level and the club has become a cornerstone of the South African national marathon team, which rates as one of the best in the world. Everything a committed, elite paddler needs to excel is provided for by the club at the club, and the results have been truly astounding with NCC regularly dominating South African events, and the club’s paddlers shining on massive stages, like the Olympic Games and the World Championships. The building of the NCC clubhouse, which has become a state-of-the-art facility, including offices, a conference room, unisex toilets upstairs and separate men’s and women’s change rooms downstairs, a physio room, a gym, which is also used by high performance programme paddlers from the Pietermaritzburg district, lockers and boat racks, was another significant moment in NCC’s history. 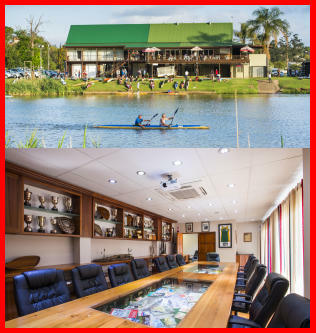 The Pietermaritzburg City Council provided the land at Camps Drift and the original clubhouse was built with the aim of making Pietermaritzburg “the pre-eminent canoeing centre in South Africa,” former NCC President Ivan Levenson said. Many would argue that that goal has been achieved. Nigel Warr and his nephew Rob built the clubhouse, with Jane McDonald serving as the architect, while, thanks to the efforts of Ian Bailey, Umgeni Water donated the deck, which provides a superb viewing and socialising platform. In 2017, Natal Canoe Club will host the International Canoe Federation’s Canoe Marathon World Championships after winning the bid for event in 2014, thanks to the work and vision of NCC General Manager Brett Austen Smith.